Democratic presidential candidate Hillary Clinton plans to attack the "alt-right" during a speech in Reno, Nevada, on Thursday. 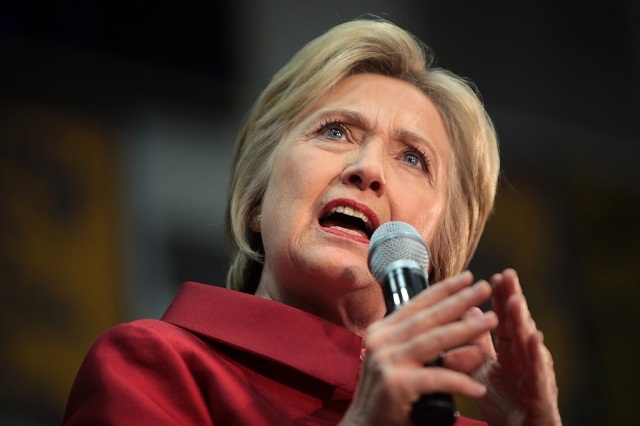 In a statement to reporters,�Clinton's�campaign promised�Clinton would "deliver a speech to address Donald Trump and his advisers' embrace of the disturbing 'alt-right' political philosophy." "This 'alt-right' brand is embracing extremism and presenting a divisive and dystopian view of America which should concern all Americans, regardless of party," the campaign wrote. ..."Clinton will contrast Donald Trump's divisive views and dangerous temperament with her vision of an America that is stronger together and where everyone has a role to play in the future," the statement read.